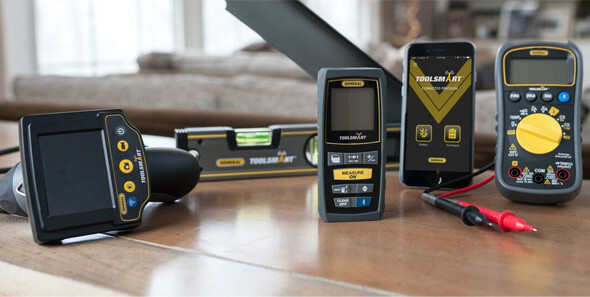 General Tools has come out with a new line of ToolSmart tools – several tools that connect to your smartphone for enhanced and convenient functionality. Just to be clear, General Tools has been an advertiser with us this year. The first half of the ad run last month and the month before, and the second half picks up later in the year. This post is not a part of the ad arrangement; I had agreed to review the tools for free, ad or no ad. To be perfectly honest, I have not used many General Tools products before. I had no reason to. There were a few that I had bought and really liked using over the years. There were some others that caught my attention, but they duplicated functionality of tools I already had in my toolbox. When I found out that General Tools was coming out with connected tools, I considered that they could be “me too” offerings, meant to ride the connected tool wave while it was hot. But with tools in-hand, I am more inclined to believe that they put a lot of thought and care into developing the ToolSmart products with features and functionality in mind. I’ve been testing all of the new tools, and will be finishing the review writeups soon. In the meantime, I wanted to share a quick preview with you. 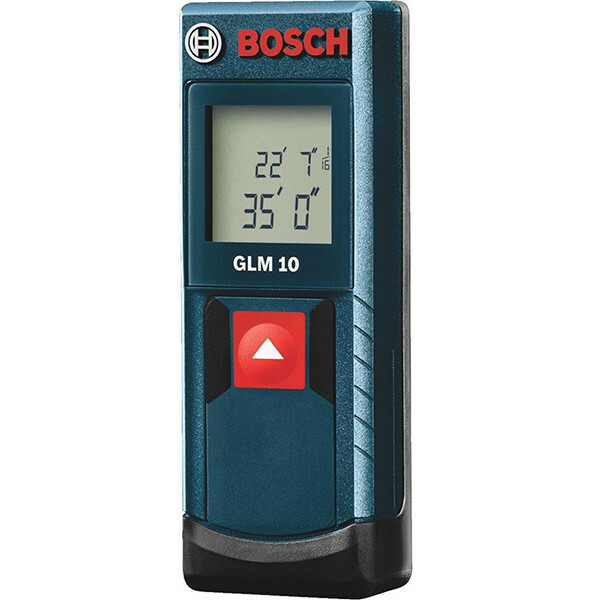 Used by itself, the laser distance measuring tool has some good specs and capabilities. You can send measurements to the app, which can then calculate how much paint, flooring, or crown molding you might need for a project. Some might have you believe that it’s essential for a laser distance measurer to communicate with a smartphone. It’s not. But some of the app features seem pretty useful. 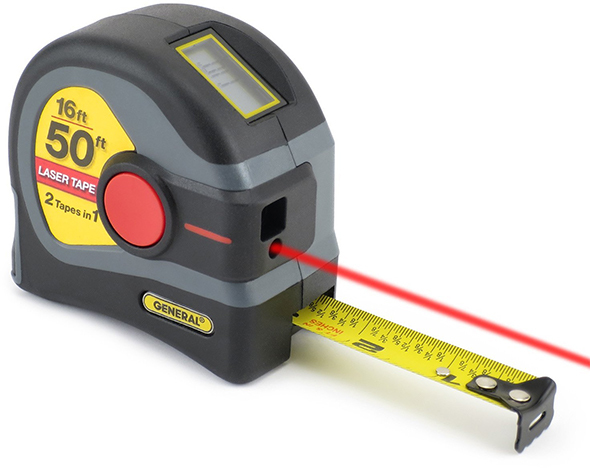 And even if you don’t need ’em, it’s a decent laser measuring tool. The corners in a home are rarely 90°. They might be a bit higher, or lower, but rarely dead-on 90°. 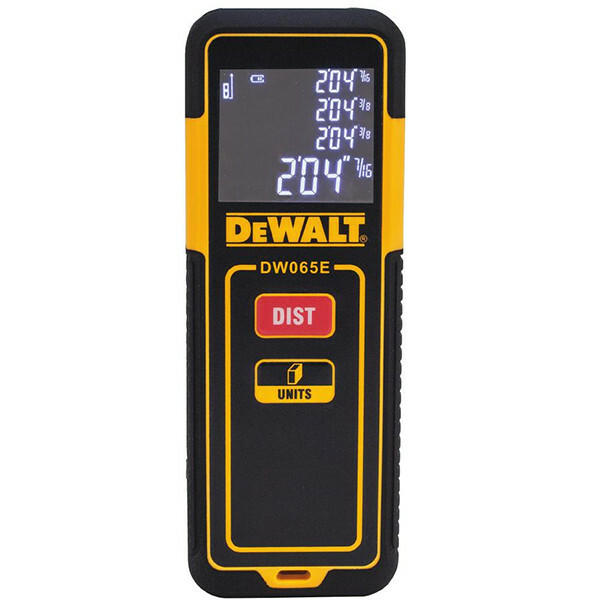 There are plenty of options when it comes to measuring angles for installing molding or flooring, but a digital angle finder tool sure sounds convenient. Even more convenient is when you can transfer measurements to your smartphone, whether for reference purposes or using the app’s materials calculation capabilities. 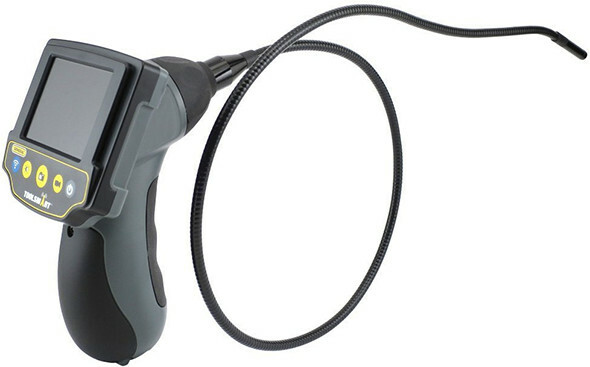 An inspection camera is by far the best tool one could have connected to a smartphone. And from the specs – I haven’t tried it yet – this looks to be a pretty decent inspection camera. It has an 8mm probe diameter, 3.3 ft cable, and the probe is said to be waterproof to IP67 standards. If I were looking for a new inspection camera, this one would be on my shortlist. 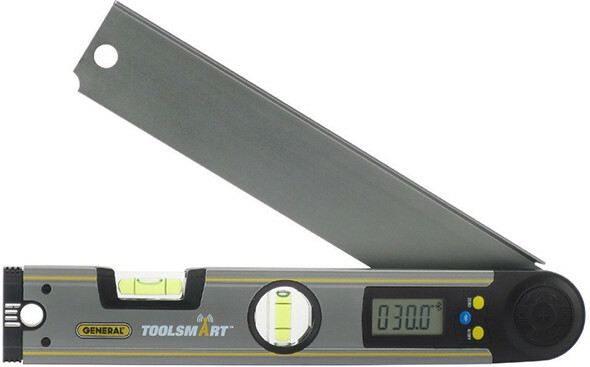 Note: The inspection camera connects via WiFi, not Bluetooth as with the other ToolSmart tools. 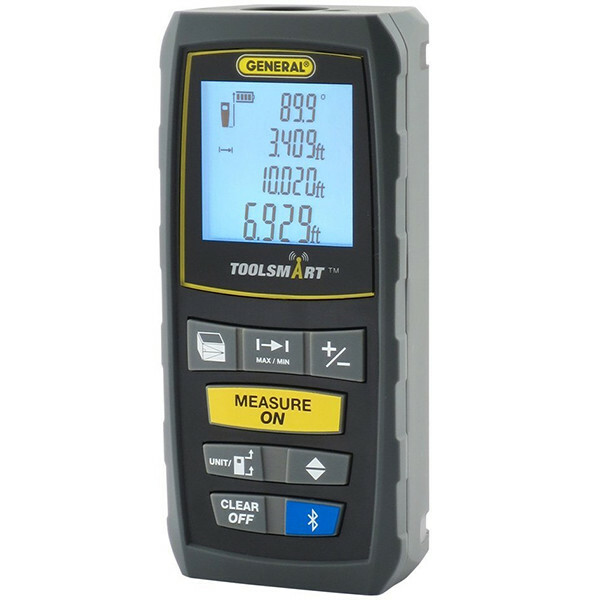 Out of all the new ToolSmart tools, the multimeter surprised me the most. It’s just not the type of tool I expected to see. It’s a general purpose multimeter that can send measurements to your smartphone. It can be hugely convenient to have a second or remote viewing screen. The meter can measure AC/DC voltage, current, resistance, continuity and temperature. 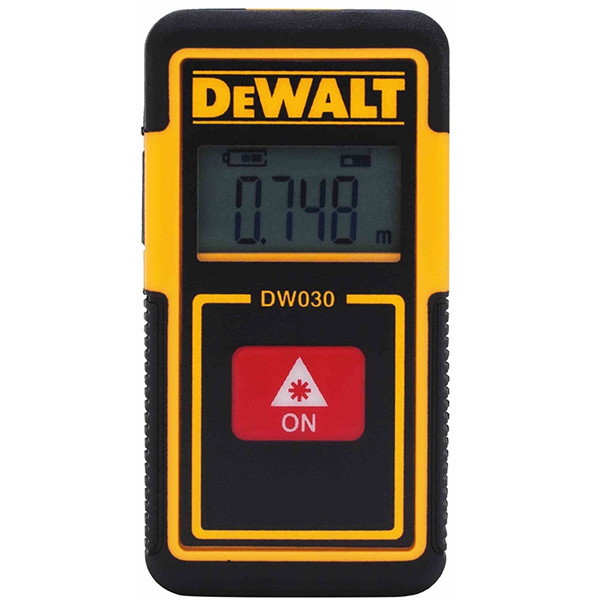 There’s also a non-contact voltage detector. I’m still working through each tool, but so far they all seem to be pretty good. 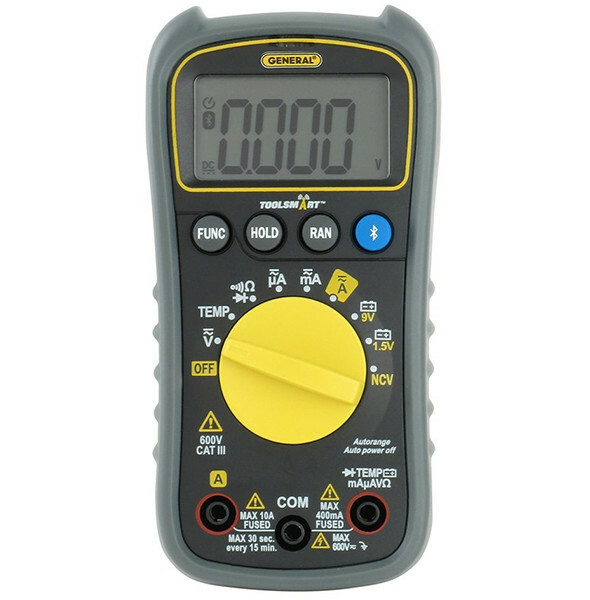 The multimeter is definitely something I would buy, with the inspection camera being second on my list. After that, the distance measurer and angle finder are both decent. I’ve been surprised as to how nicely featured these tools are, and am eager to see what General Tools has in mind for the ToolSmart lineup in the future. I can’t tell how many iPhone downloads there have been, but Google Play has reported 500-1000 downloads to Android devices. Quite frankly, that surprised me. What I’ve seen so far has been quite positive, and the tools look good on paper too. I’d expect for them to fly off store shelves. A good way to measure a tool is to see if it’s the first one I pick up when an appropriate task comes up. It’s too soon to tell for sure, but I think that I’ll be keeping these tools at close reach for some time. Thank you to General Tools for providing the test samples unconditionally. Sorry, I figured there were too many specs to funnel unto a preview, but they’ll be included in the full review. looking at the local Lowes – I was intrigued by the angle finder – since the simple dial one was within 10 dollars of the same price. ALso like the camera for the price. I wonder if General is the OEM. I’ve noticed that their (General) items seem to bear 3 different sets of UPC codes : 038728xxxxxx for their traditional tools, 708200xxxxxx for some of their woodworking tools, and 681035xxxxxx for some of their electronics. When I became familiar with General Tools they were still a privately held company based in NY City. They made a batch of instruments and small tools – perhaps a lower-priced competitor to folks like Starrett. At some point General was acquired by Highroad Capital Partners. Perhaps it was after that acquisition that production shifted to Asia – but I’ve also noticed that they have seemingly branched out in recent years into electronics and woodworking jigs. Overall, I think that is a good thing – offering the consumer added choice. General had acquired 2 companies in the last 10 years that already had product with their own distinct UPC’s. We kept the UPC’s for those products and the products we expanded in the line – One line was Woodworking Jigs and the other was Instrumentation. I would LOVE to see a floor plan feature built into the laser measurer app. you scan around a room and you have a very basic floor plan that you can use for all kinds of projects even if you could only export it as a jpeg with dimmention markers. a simple left/right option to change the wall direction before continuing to scan would make this possible without too much software tinkering. add in a “door” and a “window” insert button on the app and you can generate a whole house floorplan in a very short time. realistate agents would probably love that ability. like a hand help coordinate measuring machine. If one incorporated that I’d love to get the output as a DXF file for some cad program. Is this the same General Tools that makes/made reasonably priced US made measuring and layout tools? As to the new tools, I could see the phone apps to be most helpful on the camera and multimeter. A student or apprentice could text the reading/image to an expert or teacher to help in troubleshooting and repair. well the distance measuring piece connecting to a smartphone also makes sense. why put the memory and the other program logic and needs in the device when you can put in a BT chip for 3 dollars. then you can make an app – update it separately and add features to it as you develop the system. need 16 measurements for a room layout – great click them off and now you have a note for each one – resident in your phone and you can e-mail it to someone if needed. all sorts of additional functionality – no additional bits needed in the tool itself. As I’ve said before one of my go to tools these days happens to be my pocket computer. If you have the right applications on it you can have ready info on all sorts of tasks. I looked at these tools recently too. I wish the meter was true RMS. I don’t understand your question. There might not be moisture, as it wetness, but there might still be some humidity. There is always some humidity in a room.